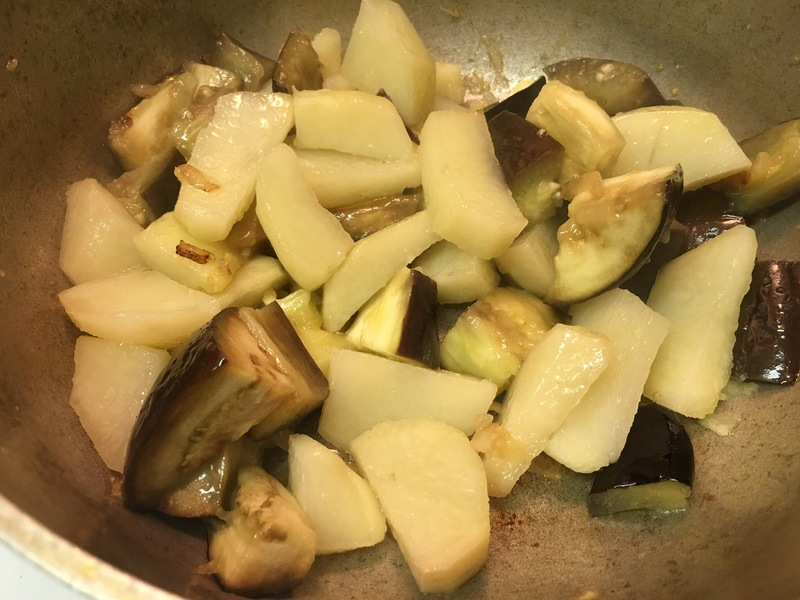 Sautéed Eggplant with Potato…AKA–Bigan and Aloo! – Hurried Home Chef! 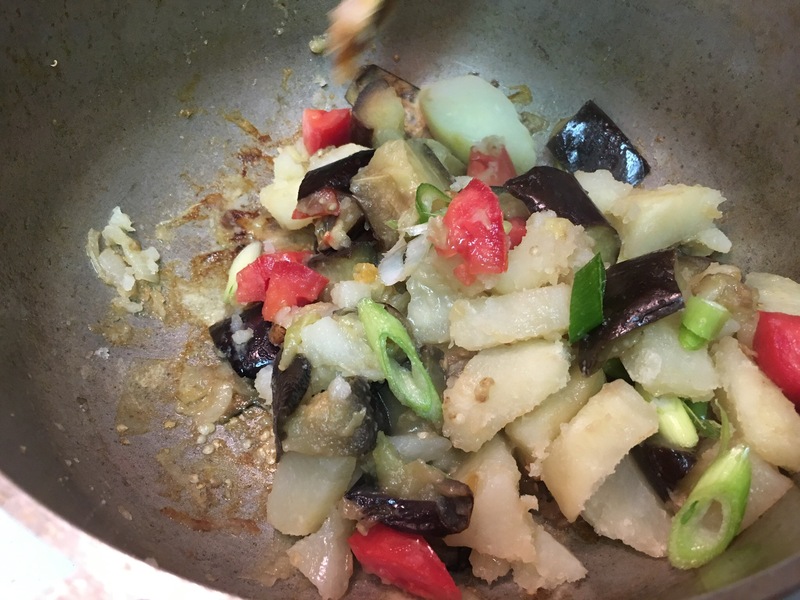 Sautéed Eggplant with Potato…AKA–Bigan and Aloo! 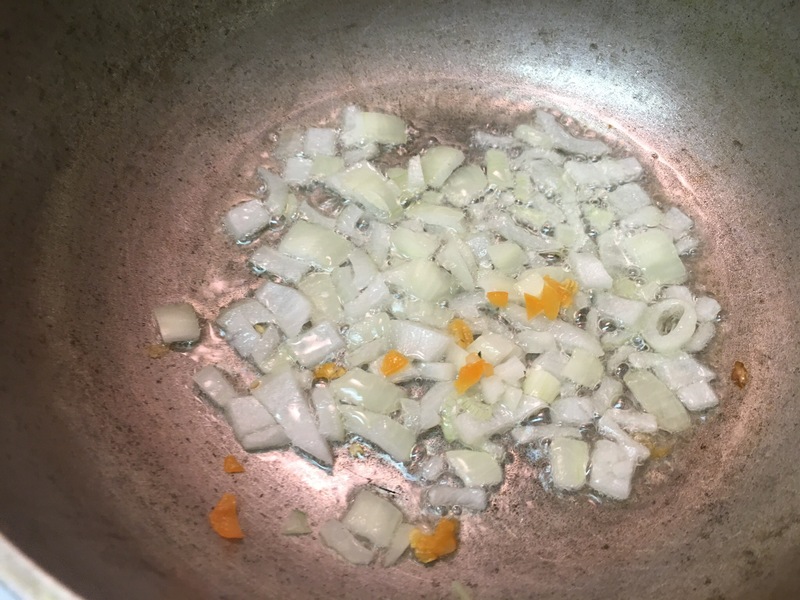 This is a simple dish that my granny loves and makes often. 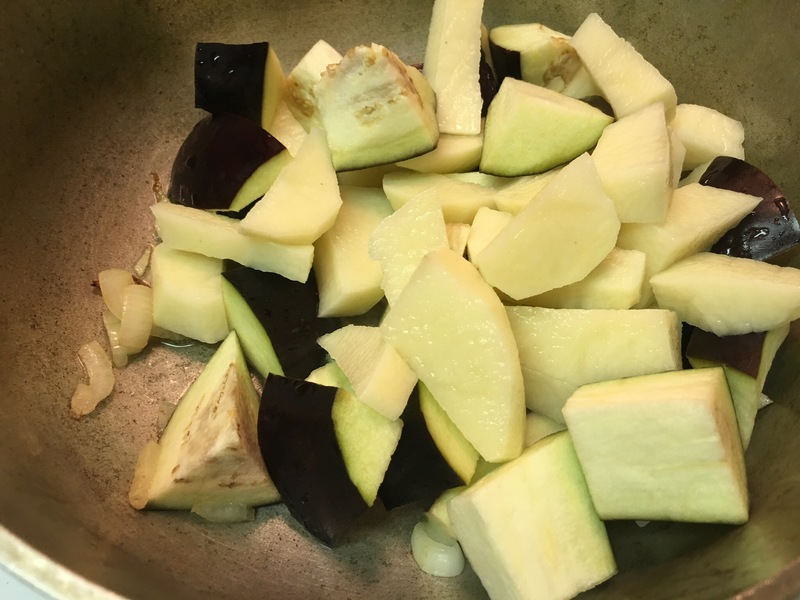 Start by dicing a potato, and a small eggplant–the big purple ones are fine for this. We washed this with half a lemon we had hanging around. 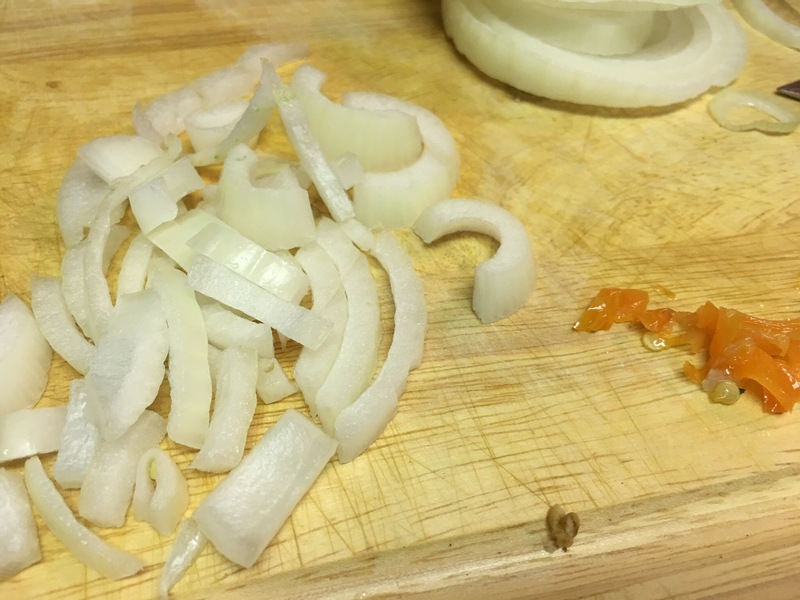 Dice some onions and pepper. Start with medium high heat. Use a little oil, sweat down the onions, cook the peppers. Here you can also use a table spoon of tomato paste that you have mixed with a little warm water. 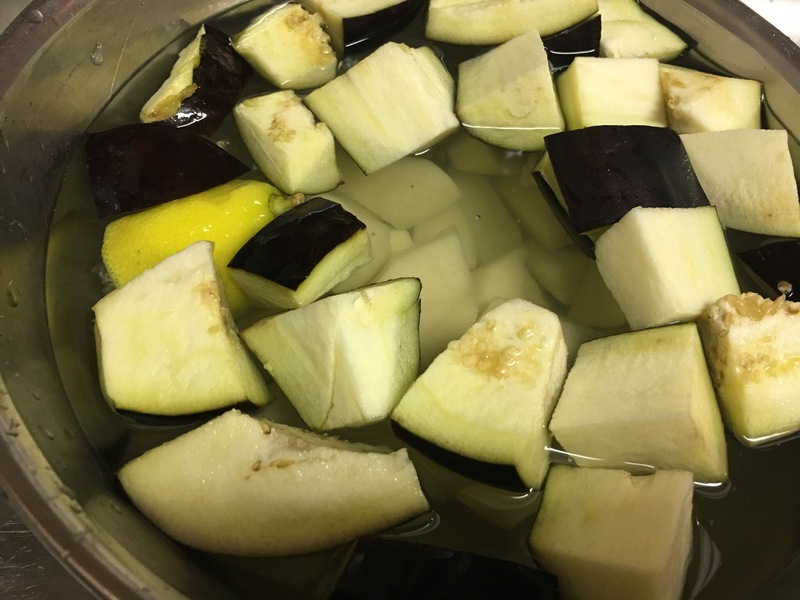 Add both the potato and eggplant, a little salt, give it a stir, cover and cook on medium low heat. After another 10 minutes or so, the potatoes will be fully cooked, then add some ripe tomatoes, and green onions. You can cover this now and turn the heat off. 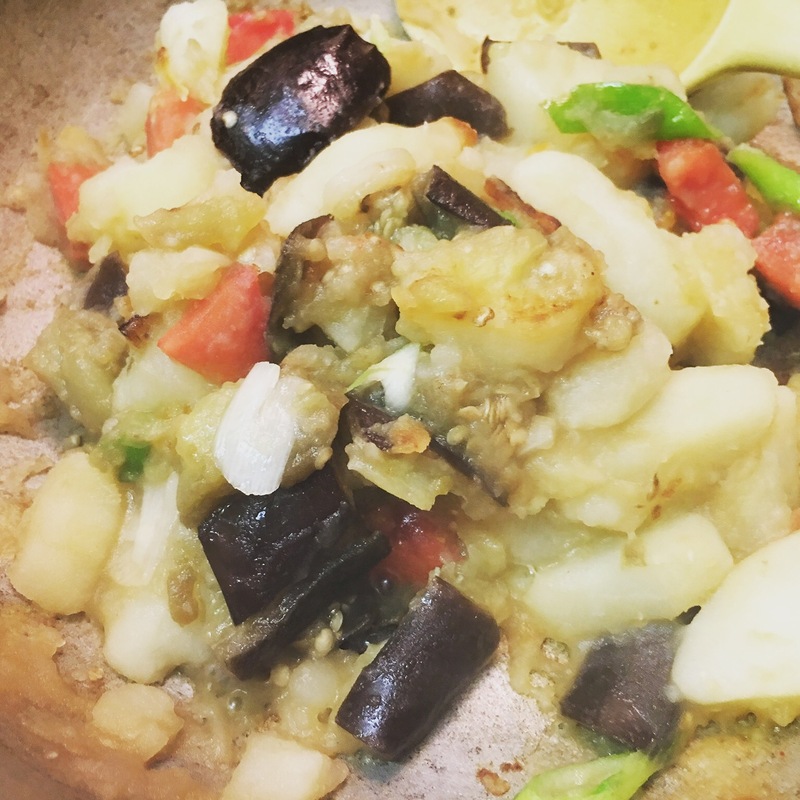 Serve this with rice, pita bread, naan, or roti.